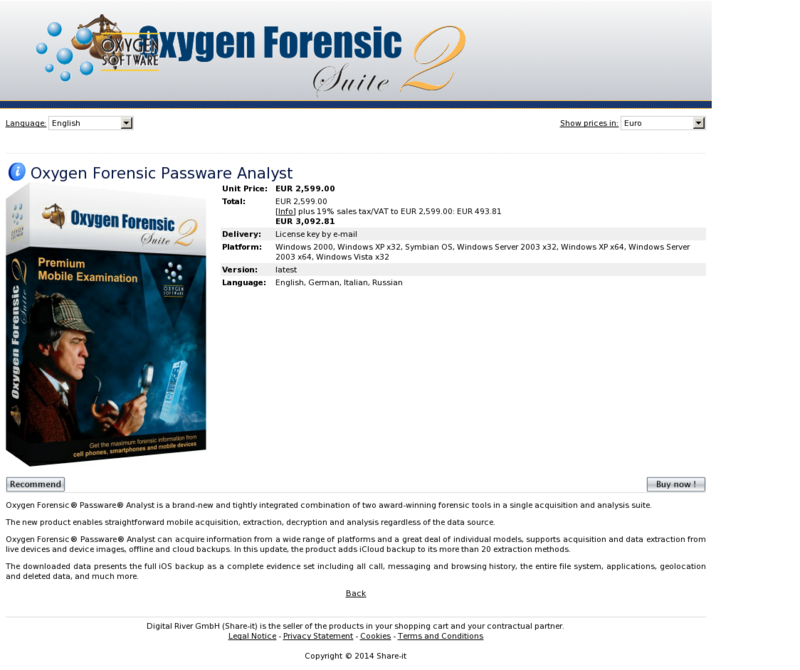 Oxygen Forensic® Passware® Analyst is a brand-new and tightly integrated combination of two award-winning forensic tools in a single acquisition and analysis suite. The new product enables straightforward mobile acquisition, extraction, decryption and analysis regardless of the data source. Oxygen Forensic® Passware® Analyst can acquire information from a wide range of platforms and a great deal of individual models, supports acquisition and data extraction from live devices and device images, offline and cloud backups. In this update, the product adds iCloud backup to its more than 20 extraction methods. The downloaded data presents the full iOS backup as a complete evidence set including all call, messaging and browsing history, the entire file system, applications, geolocation and deleted data, and much more.